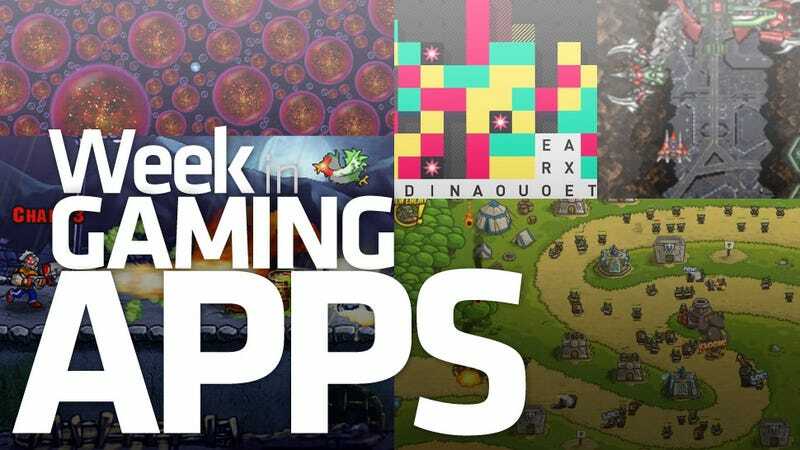 This week we featured five different titles across several different platforms in our daily Gaming App of the Day posts, but that doesn't matter to you, does it? No, you're too busy playing Kingdom Rush. You care not for the needless expense of classic shooter Rayforce, or the under-delivering action of One Epic Game. You've not heeded the sweet siren call of Puzzlejuice, with its punishing mix of Tetris and Boggle. Perhaps the odd Android gamer has lost his or herself in Osmos HD, but that's old hat to iOS gamers. Nah, their playing Kingdom Rush. I can smell it on them. And now that it's the weekend I might just join them.